Estonia is located in North Europe on the eastern coast of the Baltic Sea. The country’s relief is moslty flat or slightly hilly, with an average height of 50 metres above sea level. The country’s highest point is 318 metres. Inland ice melted 10.000 years ago forming the present landscape. The ice left behind sediment or moraines of different thickness and consistency. Because of that, growth conditions vary enormously. Despite the country’s small size, 26 forest types can be distinguished. For the past thousand years, forests are mainly influenced by human activity. 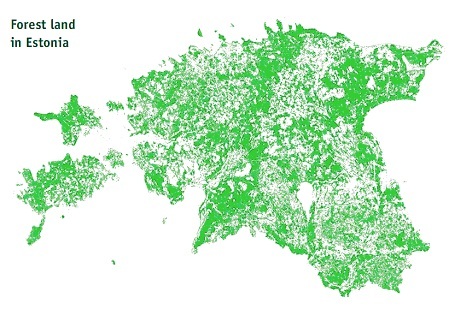 In Estonia forest cover was up to 80% of the country’s territory but by the end of the 19th century it dropped to 30%. Forest loss was mainly due to the use of land for agricultural purposes. The situation changed again after World War II. Until the mid-20th century Estonia was mostly an agricultural country, but agricultural reforms during the Soviet occupation left huge proportions of agricultural land out of use. These areas were then covered again with forests. 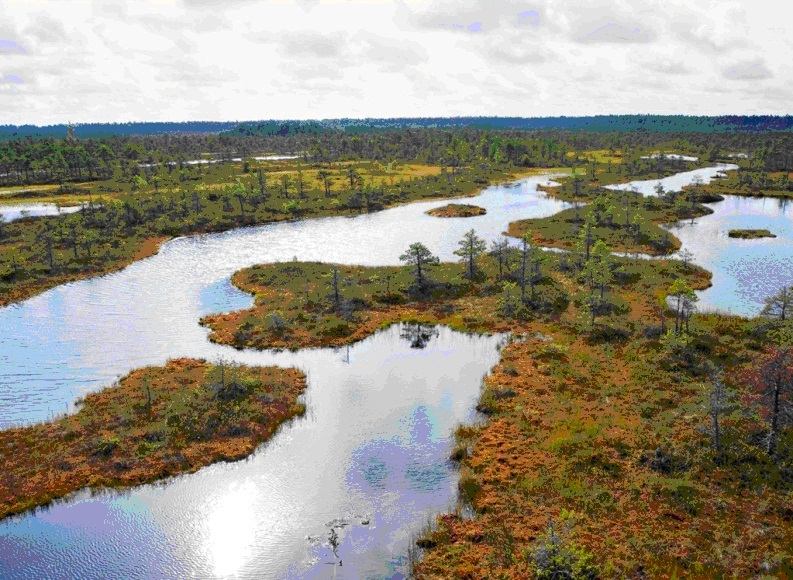 Today Estonian forest area accounts for approximately half of the country’s territory. Compared with figures in 1939, the total forest area has increased by more than 50%, whereas annual increase is, on average, 12,000 hectares. The growing stock volume is 455 million m3.